Condensation causes electrical and electronic components housed in enclosures to fail prematurely. At up to 65% relative humidity, the probability that condensation will form remains low. Condensation can be eliminated, however, by keeping the environment inside an enclosure at a temperature of as little as 9° F (5° C) higher than that of the ambient air. The warmer the air, the more water vapor it can contain. When air cools it can no longer hold the water vapor it contains, and reaches what is called the “dew point”—where condensation occurs. 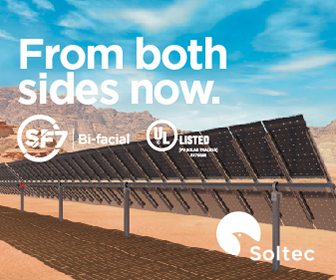 Outdoor equipment in renewable energy applications such as grid-tie matching inverters, pitch and yaw control controls for wind turbine applications, and tracking control systems for solar applications are particularly at risk as condensation occurs with the shift between daytime warming and nighttime cooling. Even indoor systems can be susceptible to the formation of condensation through humidity and temperature variations. 2. To control condensation from forming on electronic components. Heaters should be operated by control devices such as thermostats, hygrostats, or a combination device called a hygrotherm. The following focuses on condensation control while comparing the use of thermostats and hygrostats to determine which control device is best for controlling condensation. 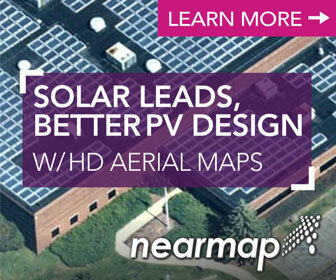 One representative application is solar tracking controls. Typically, a NEMA 4 enclosure houses the tracker control system. Enclosure sizes vary, but a common size is 36" H x 24" W x 10" D. Engineers wanting to develop one product solution that can be applied throughout North America must design the thermal management system to handle ambient temperatures as low as -40° F (-40° C), and dew points in the high 70° F range. Common practice is to keep the interior of the enclosure at or about 40° F (4° C). To maintain the enclosure interior at or above 40° F (4° C), in this example, a heater with at least 700 watts of heating power would be required. This same heater also has enough capacity to control condensation. To isolate the condensation control aspect of the thermal management system, it is necessary to focus on the operation of the heater only at temperatures above the minimum safe operating temperature of 40° F (4° C). To use a thermostat to control condensation, it would have to be set at the high 70° F range. For this example, a temperature of 77° F (25° C) has been chosen. The heating power required to raise the interior temperature of the enclosure, from the base heating level of 40° F (4° C) to 77° F (25° C), is approximately 335 watts. Only when the dew point is actually at 77° F is the 335 watts of heat really needed. Since the heater will be energized at all temperatures up to and including 77° F, the energy and heater life are being wasted at all times when the dew point is below 77° F.
Assuming the heater runs 50% of the time, the basis to determine how much energy is used and the cost of that energy can be established. This correlates to a total of 4380 hours of an 8760-hour year the heater will be operating—due to the thermostat being set at 77° F (25° C) versus 40° F (4° C). Using the required 335W of heat and the current average cost of energy in the US, which is about nine cents per kilowatt hour, approximately 1467 kilowatt hours of electricity is used per year to eliminate condensation incidents at a total annual cost of about $132 per tracking system controller. A hygrostat switches a contact energizing the heater based on a relative humidity set point. If a hygrostat is set to 65% R.H., the heater will only have to raise the interior of the enclosure 9° F (5° C) to prevent a condensation event. Again, assuming the heater is running 50% of the time, relative humidity will be above 65%* and the heating power required to raise the temperature by 9° F (5° C) is only 81 watts. Using the same numbers from the above example (4,380 hours x 81 watts = 355 kilowatt hours), at the same nine cents per kilowatt hour, means the cost of controlling condensation using a hygrostat would be about $32 per year. Compared to the $132 per year using a thermostat, this yields a cost savings of about $100 per year. Although the hygrostat is about four times the cost of a thermostat, the increased cost is made up very quickly from the energy savings. In many geographic areas of North America, the temperature gets colder than the electronics minimum safe operating temperature, and opposite season dew points above 65% are common. In these areas, a dual-function hygrotherm is the optimum control device. A hygrotherm combines the functions of a thermostat and a hygrostat, so that the same heater will be energized either when heat is required due to low ambient temperatures or when the relative humidity is high enough to cause a condensation event. Hygrostats are a much more energy efficient control device for ensuring control system enclosures remain condensation free. *Assuming relative humidity will be above 65% half of the time is a very conservative estimate. Assuming relative humidity was above 65% for a lesser percentage of the time, which is more realistic, would result in the cost savings associated with using a hygrostat being even greater as the heater would be energized less than 50% of the time.